Scunthorpe United welcome Burton Albion to Glanford Park on Saturday afternoon in League 1 for a 3pm kick off. The away side hold tenth place as of now, with fifty-seven points on the board and are nine points behind the final play off spot, while the hosts are in a relegation battle as they occupy eighteenth position, two points above the bottom four having earned forty-five points so far. When the two last played in the league, the fixture ended goalless. Scunthorpe United have not come out victorious in their last four matches, winning once in their last five and failing to keep a single clean sheet during that time. A victory over Southend United by four goals to one appeared to spell a return to form for this weekend’s home side, however they were subsequently beaten by Portsmouth away from home with the scoreline reading 2-0 after ninety minutes. Then came the visit to the Crown Oil Arena where they faced off against Rochdale, and their opponents took all three points through a brace from Aaron Wilbraham and one scored by Kgosi Ntlhe. In their last outing of March, Scunthorpe were defeated for the third time in a row, this time versus AFC Wimbledon at home by two goals to one. In their most immediate fixture, Andy Dawson’s men played out a 1-1 draw with Shrewsbury Town. Lee Novak is the leading scorer at Scunthorpe United with eleven goals to his name right now, seven clear of second placed Josh Morris and Kyle Wootton. Novak has only found the net once in his last five however and will be hoping to get back on track with a goal in this encounter, while Wootton netted in his last appearance versus Shrewsbury Town. On the charts regarding assists it is Anthony McMahon and George Thomas who sit at the summit of the leaderboard with six to their names, one ahead of Morris who has supplied a goal for a teammate on five occasions thus far. Burton Albion have enjoyed much better form than their upcoming opponents over the last five games, winning three, drawing once and losing once over that time. Following a defeat at the hands of Charlton Athletic towards the start of March by two goals to one, Burton then defeated Blackpool on home soil 3-0 thanks to strikes from Liam Boyce, Jamie Allen and Lucas Akins. Burton went on to hit Accrington for five in the next outing, taking maximum points in a goal-rich ninety minutes in which they won 5-2 after going 2-0 on the forty-minute mark. Burton’s first matchup of April finished 3-1 in their favour when they hosted Barnsley as Allen and Boyce got on the scoresheet yet again, while their most recent result came as a 1-1 stalemate at the Stadium of Light against Sunderland. 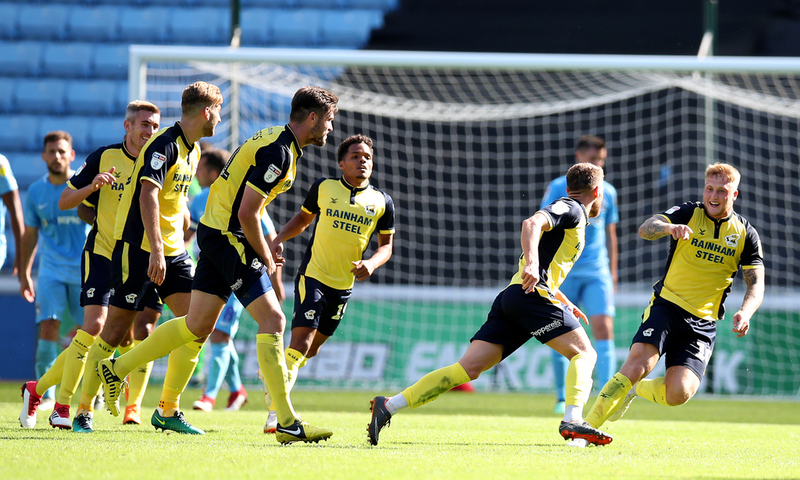 Akins can boast the most goals for Burton Albion up to now with ten on the board so far, one more than Boyce and three clear of Allen on the leaderboards.The 30-year-old attacker has netted five times in his last five appearances, though none of those goals have arrived in his last two games for the club. Boyce has totalled four goal involvements in his last three matches, scoring twice and assisting twice, while he also leads the charts in terms of providing the goals for teammates with seven assists during the campaign, one more than what Akins and Marcus Harness have made.